The Houston Astros are in the World Series again for just the second time in their history and right on time for Halloween. 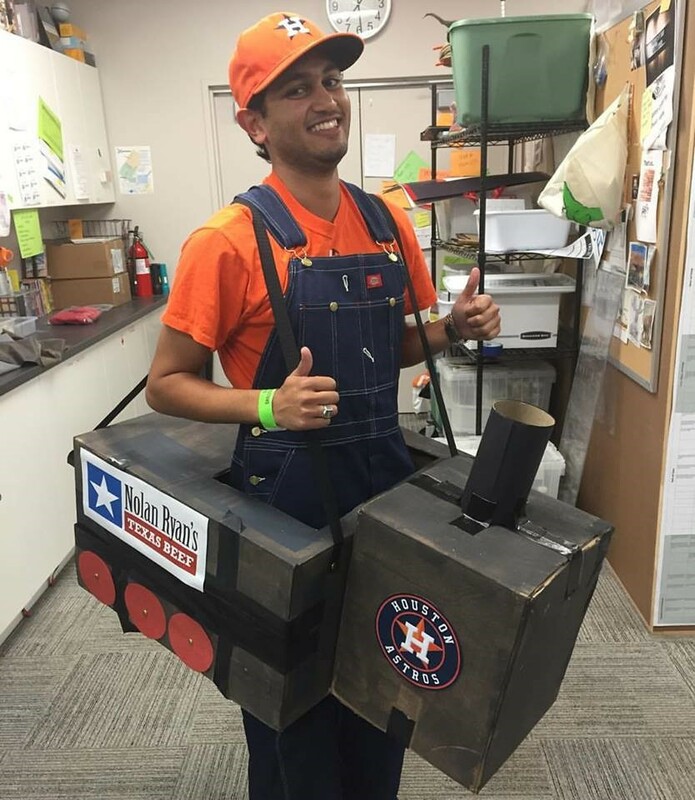 Two years ago, I dressed as the Astros Train Guy for Halloween, and this year was planning to dress as Astros first baseman Yuli Gurriel, known for his high contact rate at the plate, his soaring home runs and his gravity-defying hair. But Gurriel’s hair is far from the strangest thing to ever hit baseball. Did you know that people have died playing America’s pastime? 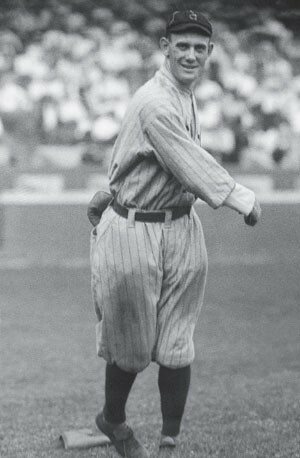 In 1900, Jim Rogers, a pitcher for the Washington Senators and Louisville Colonels, died reportedly due to “complications from an earlier hit by pitch.” John Dodge played two seasons with the Philadelphia Phillies and Cincinnati Reds before dying following being hit by a pitch in a minor league game in Alabama in 1916. In the Netherlands, an infielder named Hartog Hamburger was hit on the head by a line drive and passed away at his home that night. And in 1906, minor league catcher Herbert Whitney died from a fractured skull suffered following a hit-by-pitch. The death that most directly affected the modern game of baseball was Ray Chapman’s tragic passing in 1920. Chapman was a shortstop for the Cleveland Indians but was felled by a pitch thrown by New York Yankees’ pitcher Carl Mays. At the time, the common practice among pitchers was to make each baseball as dirty as possible. As I’ve written about before, the movement on any pitch is related to the spin of the ball; for example, the extraordinary spin rate on a curveball causes the air around it to rotate and drives the pitch downwards. However, a ball that has been scuffed with dirt, cut or even spit on may not rotate in a consistent manner and could move in unpredictable patterns. It is hypothesized that Chapman, who was considered one of the best bunters to ever play the game, was caught off-guard by a pitch that moved strangely at the last second, and the ball hit him straight in the face. The ensuing sound was supposedly so loud that Mays thought Chapman had hit the pitch weakly with his bat, and he threw it to first base to record the out. According to the doctor who performed the emergency surgery, Chapman suffered a fracture of his skull about three-and-a-half inches long. Blood clots formed in his brain, and there were major lacerations of the brain on both the left side, where the ball had made impact, and the right side, where the brain struck the inside of the skull. Less than 12 hours after being hit by the pitch, Chapman was dead. It is partly because of Chapman’s death that we see pitchers receive clean baseballs after every pitch in the dirt; Major League Baseball mandated that umpires provide new balls regularly to prevent such occurrences from happening again. In the immediate aftermath, new regulations were placed on pitchers modifying the balls, and the spitball was outlawed (aside from 17 pitchers who argued that the ban would damage their careers; they were allowed to continue using the pitch until they retired, which lasted until 1934). Unfortunately, the league took longer to adopt batting helmets. In 1937, Hall of Fame catcher Mickey Cochrane of the Detroit Tigers suffered a serious skull fracture ended his career, and the calls for helmets renewed. Still, it wasn’t until 1970 that all MLB players were required to wear helmets, and even then, players grandfathered into the rule were given the option not to. Through twists, turns and tragedy, the game of baseball as we know it today continues to evolve to protect its players and fans. On Sept. 20, 2017, a young girl was struck by a foul ball line drive in Yankee Stadium in New York, and MLB turned its attention to stadium safety. Netting in all stadiums protects fans right behind home plate, but in only 11 stadiums league-wide, including Minute Maid Park, does this netting extend beyond that area. Many teams are considering adding this safety measure to avoid injuries to spectators. Nowadays, we see players such as the Astros’ Carlos Correa and Marwin Gonzalez wear extra protection on their batting helmets to protect their faces from pitches. Some pitchers wear hats with extra padding around the sides to protect themselves from line drives. Further safety innovations are surely around the corner. Whatever the future of baseball may hold, the present features the Astros and the Los Angeles Dodgers locked in a struggle for the World Series title. Hopefully the Astros can continue their hot hitting from Game 2 Wednesday night and bring home the first championship in franchise history.